Encourage children to think of something they feel they do well or enjoy doing, such as playing a musical instrument, playing a sport, and so forth. Warn them not to tell anyone what they have in mind. Let kids take turns acting out the thing they do well, allowing the other children to guess. Offer helpful suggestions to actors. Before class, hide coins in different places around the room. Allow kids to hunt for the hidden coins. If time allows, use the coins to play a game of “Hot or Cold.” Select a child to be the finder. Hide a coin somewhere in the room while the finder is blindfolded or steps outside the door with another leader. When the blindfold is removed or the finder steps back in the room, allow children to help the finder by shouting out “hot” or “cold” based on the finder’s proximity to the hidden coin. Continue until the finder discovers the coin. Lead in to Lesson: Today, we are going to hear a parable about gifts/coins. Suggested props: 15 coins for kids to count along during the story. Jesus was teaching people about God and His kingdom. 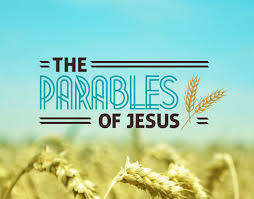 He told them parables, or stories, to help them understand. One day, Jesus was talking about the last day, the day when Jesus will come back to earth. Jesus said that no one knows when that day will happen. “This is what that day will be like. A man was going on a journey. He called his servants to him and gave them each some money. He gave one servant five talents, another servant two talents, and another servant one talent. (Now, a talent was a very large amount of money.) Each man received what the master thought he was able to take care of. Then the man left and went on his journey. “The first servant, who had five talents, invested the money right away. Soon, the five talents had earned five more. In the same way, the man who had two talents invested the money and earned two more talents. But the servant who had one talent did not invest his master’s money. Instead, he dug a hole in the ground and hid the money in the hole. Jesus knew that after He went to the cross, He would go back to heaven before returning for us one day. But in His absence, and until His return, He leaves us with valuable treasures (talents). What is this treasure? It is God’s gift of grace — His righteousness and blessings because of Jesus’ finished work on the cross. When we believe in Jesus and exercise the gift of His finished work on the Cross, we are able to bless others because of all that Christ has blessed us with. When we share God’s grace with others, we see it multiply and bear fruit in our lives — some five times, some ten times. If we have God’s gift of grace but don’t do anything about it (bury in the ground), it is of no use to us. Know who God is — have the right picture of Him. He has blessed us with every spiritual blessing in Christ Jesus. He’s not a hard master out to get us. He wants to rejoice with us and call us “good and faithful”. Know the treasure we have in Christ — don’t hide it away. Use it. Enjoy it. Share it with others. Bless others with it. Jesus is coming back again — those who do not receive Him as their Saviour and King will be left out of His kingdom. Let’s share with our friends the good news of our Lord Jesus Christ! REMEMBER: We are Blessed to be a Blessing! Get kids in smaller groups. Get them to share what are some of the gifts and talents God has blessed them with and how they can bless others with them. 1. Jesus told a parable of a man of going on a ______________. 2. He gave his servants and gave them some______________, according to their______________. 4. But one servant had hid his talent in the ______________ because he was______________ of his master, whom he thought was a ______________ man. 5. We should know who God is and have a ______________ ______________ of Him. 6. Because of Jesus’ _____________, we have been ___________ to be a____________ to others. 7. Jesus is ____________ back again. Let’s share His grace with everyone!